Slade Wilson joins the DC Icons line! Deathstroke is sleek and armed to the teeth. 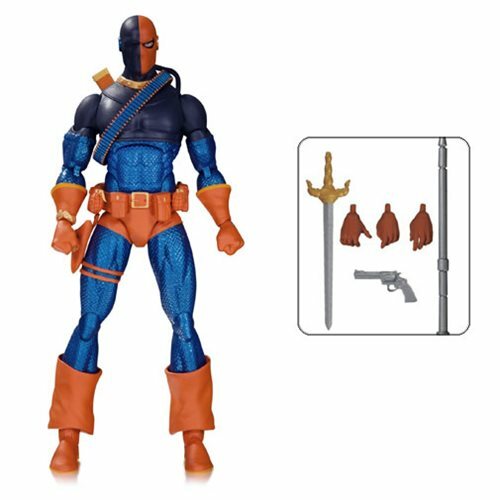 This DC Icons Deathstroke The Judas Contract Action Figure measures approximately 6-inches tall, with 25 points of articulation, and includes multiple interchangeable hands, a power staff, sword, and pistol. Ages 14 and up.